Last weekend, while taking time off between two assignments here in Tanzania, I took a drive north along the coastline of Dar es Salaam. As the cluster of high rise buildings that make up the city’s small commercial district thinned out and gave way to the sea-facing homes of the wealthy, I looked towards the coast and noticed a group of people gathered on the beach. Asking my taxi-driver to stop, I wondered over to take a closer look. 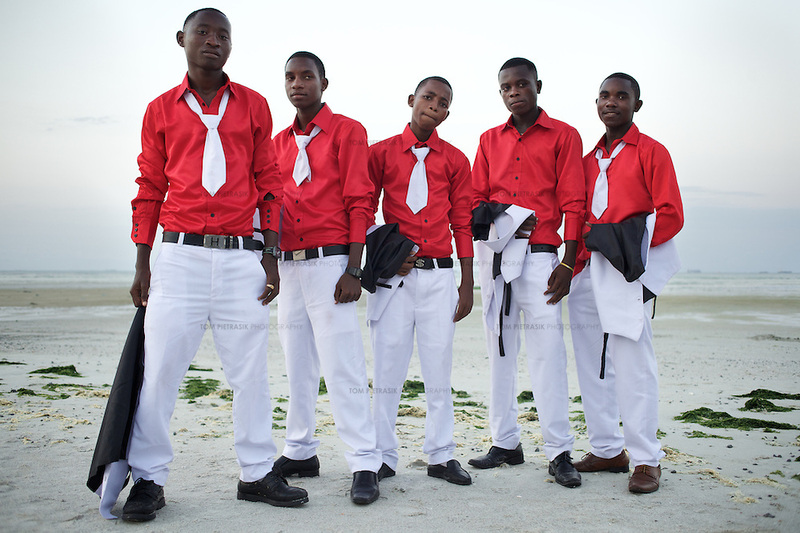 As I approached the beach, it became clear that there were in fact several groups of people, each a wedding party being cajoled into position by a photographer. 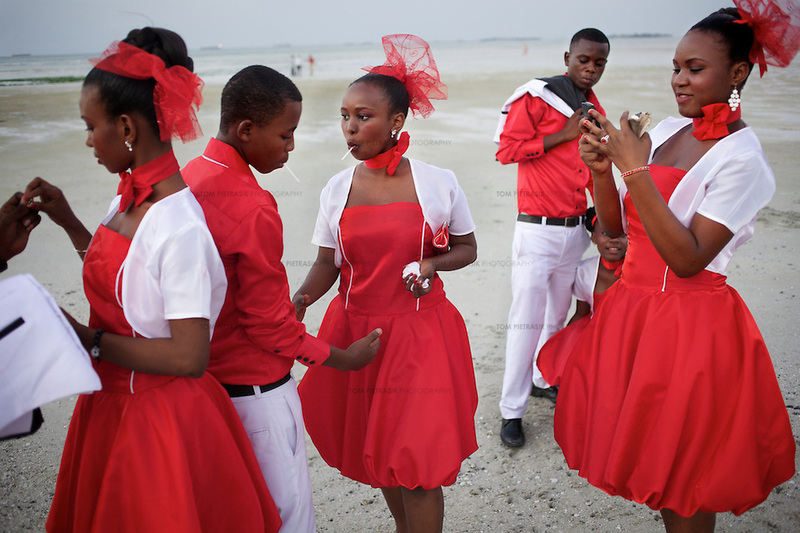 It is apparently a tradition in Dar es Salaam that a wedding ceremony be followed by a trip to the beach for photographs. 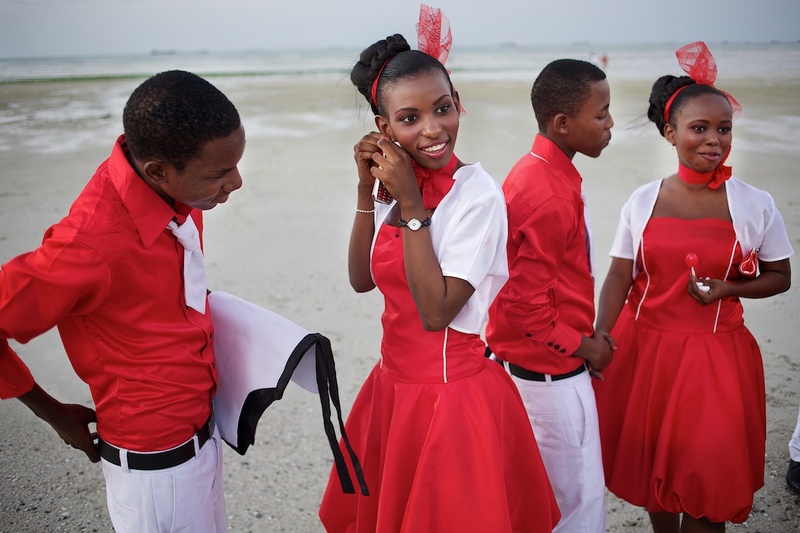 All of those gathered on the beach appeared decked out in their very best but it was one particular group, wearing coordinated red outfits, that demanded the attention of everyone else – and that included me as I approached them with my camera.